Clouds move overhead just before dawn at Nauset Beach Lighthouse in Eastham, Massachusetts. Nauset Lighthouse, officially known as Nauset Beach Light, is a 48-foot tall tower made of cast iron plate shell lined with brick. 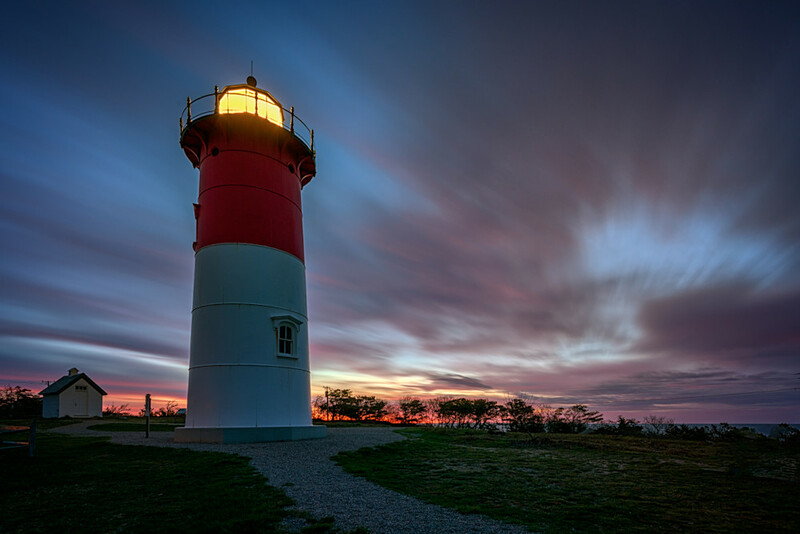 It is located in Eastham, Massachusetts, on Cape Cod.